Almost SEO’s are fed up now due to Google updating their algorithm like Panda and Penguin. Indeed, implementing the Google guidelines is a difficult task to everyone not impossible. It is doing its excellent job to filter out the crap quality content and providing exact and top-notch quality content to end-user. There are numerous Google ranking factors to rank any blog or site in SERP but why we are far away? because it is not possible to read them all and finding them is also hard job. 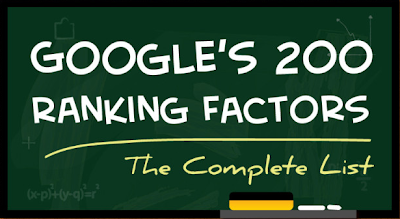 Backlinko and Single Grain is doing classical job to finish all the SERP factors at one spot so that we can read and learn it at one time and place. Although all the SERP factors and look what you can do to get topper ranking for your own website and blog.